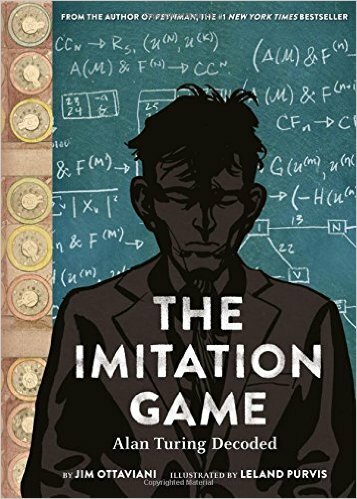 Jim Ottaviani joins the show to talk about his new graphic biography, The Imitation Game: Alan Turing Decoded , drawn by Leland Purvis (Abrams ComicArts). We get into how Jim went from nuclear engineering to writing comics about scientists, the amazing life of Alan Turing, why emotional truth plus factual truth must be greater than 100%, the challenge of conveying hard concepts and theories to lay-readers, the difference between ordinary geniuses and extraordinary geniuses, how his engineering background feeds his storytelling mode, and more! Give it a listen! 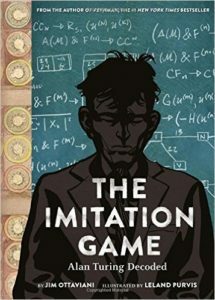 And buy The Imitation Game (Abrams ComicArts)! We also talk about how he learned not to over-write his scripts and trust his artists, his method for keeping up with hard science news, his progression from short stories to 200-page books, the perils of writing about people smarter than himself, his own “Eureka!” moment, and whether Alan Turing was the most tragic figure in science in the 20th century (I stump for Nikolai Vavilov). Jim Ottaviani has worked in news agencies and golf courses in the Chicago area, nuclear reactors in the U.S. and Japan, and libraries in Michigan. He still works as a librarian by day, but stays up late writing comics about scientists. When he’s not doing these things, he’s spraining his ankles and flattening his feet by running on trails. Or he’s reading. He reads a lot. Elsewhere on the web you can find him at www.gt-labs.com. 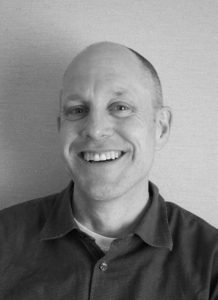 He’s the writer of a number of comics about science and scientists, including Two-Fisted Science , Dignifying Science: Stories About Women Scientists , the New York Times bestseller Feynman , and the recently published The Imitation Game: Alan Turing Decoded , from Abrams ComicArts. Credits: This episode’s music is Nothing’s Gonna Bring Me Down by David Baerwald, used with permission of the artist. The conversation was recorded at the Toronto Marriott Bloor Yorkville Hotel on a pair of Blue enCORE 200 Microphones feeding into a Zoom H5 digital recorder. I recorded the intro and outro on the same setup. Processing was done in Audacity and Logic Pro. B/w photo of Jim by me. I can’t find a credit for the top picture, but it ran in Concentrate Ann Arbor.